It was a Tuesday. More precisely, it was Tuesday the 23rd of April, 2013. And it was a day that I ‒ in retrospect ‒ will never forget. On that very day, my lifelong tinnitus since childhood worsened considerably. At night time, when lying in a horizontal sleeping position, I would be able to count as many as six different tones ‒ all competing with each other in a cacophony of unrelenting noise. Chronic insomnia soon followed. I had developed severe tinnitus. And while I certainly wasn’t particularly knowledgeable about tinnitus back then, I knew well enough that I was in trouble. Big trouble, in fact. Indeed, the worsening of my existing tinnitus was to have profound effects on pretty much all aspects of my life. Eventually, the whole situation forced me to become something I had never anticipated before: a medical pioneer and an impactful advocate for the promotion of tinnitus research. 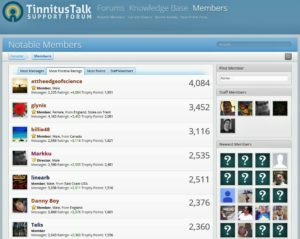 Back in 2013-2015, I was a regular contributor to TinnitusTalk ‒ the world’s largest online forum with more than one million annual visitors. 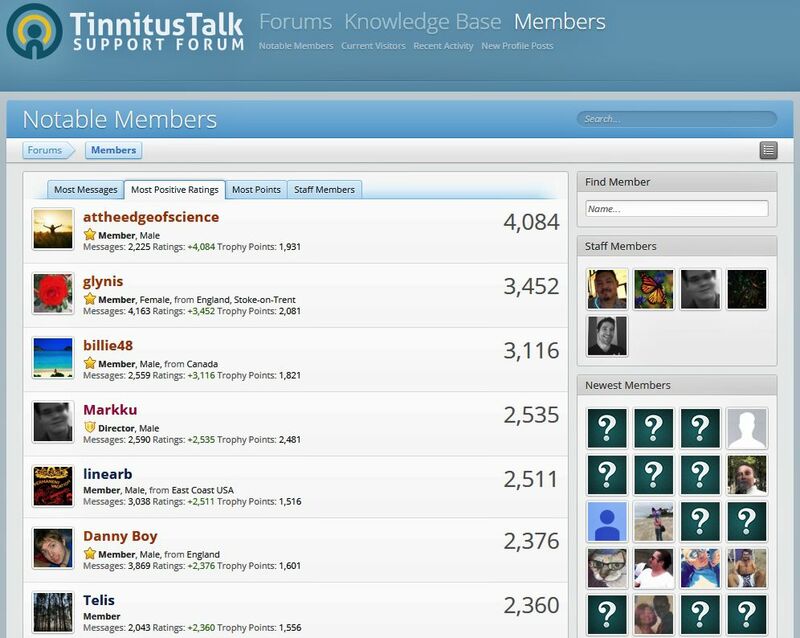 “attheedgeofscience” is a pseudonym taken from the profile I used while active on the world’s largest online tinnitus forum called TinnitusTalk. My profile is still visible there and so are my posts (which total more than 2000…). For several years, my profile was at the top of rankings list out of the +20,000 registered members. And my stem cell journals which I shared with the community have more than 100,000 views. It is from that same platform that I was the main contributor to what was then known as Team Trobalt. Our intention was to gather evidence from Internet-based data on the possible efficacy of the anti-epileptic medication Trobalt for the treatment of symptoms of tinnitus. The idea that Trobalt – a potassium channel opener – might be efficacious gathered momentum when a member of the forum announced he had been totally cured of his tinnitus by taking the prescription drug. Assisted by researchers from the Tinnitus Research Initiative (TRI), we wrote a manuscript intended to be published as an editorial in the journal “Expert Opinion on Pharmacotherapy”. Sadly, the publication never happened due ‒ in part ‒ to restrictions on the content that can be submitted for editorials. Later on, in 2015, I initiated a dialogue with the leading inner ear pharma company in the world (Auris Medical AG) ‒ a dialogue that lasted the entire Summer and which eventually led to a sponsorship between TinnitusTalk and the Swiss-based NASDAQ-listed pharma entity with the ticker symbol “EARS”. In 2016, I once again teamed up with TRI to help disseminate a series of research publications as part of the initiative to win the Frontiers Media Spotlight Award. As for my own personal inbox, it counts roughly 500 e-mails from researchers and CEOs of pharma companies and I have read well over 200 research papers on topics such as tinnitus, hearing loss, and stem cells. All things considered, it is probably fair to say that, when it comes to tinnitus-related matters, I have been “around the block” a couple of times. What does a person do when faced with a problem that has no established solutions? Well, the last course of action would be to try to solve it like everyone else did – because none of that worked, obviously. As Albert Einstein was famously quoted as saying: “If you do what you always did, you will get what you always got”. In my case, back in 2013, I was a real novice on tinnitus. A struggling novice, to be correct. To be even more correct: a struggling novice with chronic insomnia and with a rapidly declining ability to cope with my workload at the office. 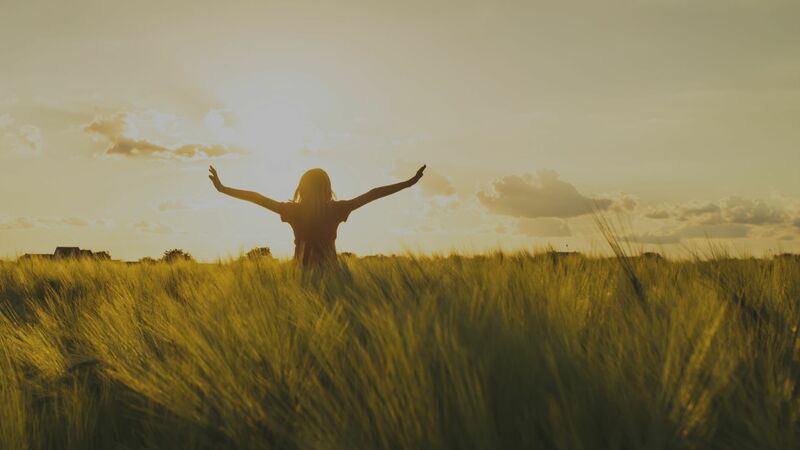 Realizing that tinnitus was one of those problems without an established solution, I decided to opt for the road less travelled by and set out on a journey without a final destination. The remainder of this page is dedicated to the treatments I tried and the rationale behind them. I ended up travelling the equivalent of a trip around the entire world before I managed to recover from my ringing ears while accidentally curing another incurable condition in the process. After about eight weeks of LLLT, I saw improvements of up to 25 dB in my hearing thresholds (at 8 kHz). Like a lot of people ‒ no doubt ‒ I went to see an ear-nose-throat physician (or ENT) in my local area when my tinnitus worsened back in April 2013. As part of my examination at the nearby university hospital, I was administered a hearing test which came back with a “normal” test result. However, while bringing my own audiogram print-out from the audiologist to the ENT who was going to see me, I had a brief moment to examine it myself. 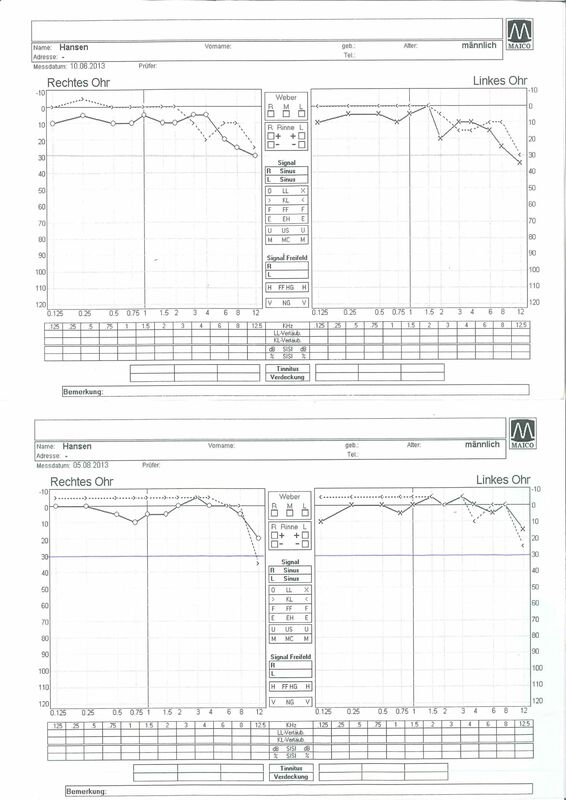 Although I was by no means an expert on audiometric assessments, I did quickly notice that the audiogram only included evaluations up to 8 kHz and with a slight slope at the higher frequencies (i.e. at 6- and 8-kHz). Knowing that humans can hear frequencies up to about 20 kHz, I could not help but wonder what might be observed past the so-called speech frequency range (i.e. 0-8 kHz). For reasons I don’t specifically remember anymore, I did a fair amount of research early on which somehow must have led me to the informative website of Dr. Wilden. Despite my limited knowledge of the inner ear, I knew full well that hearing loss was considered incurable by conventional medical standards. I was therefore somewhat surprised to learn that Dr. Wilden ‒ a doctor practising in Germany at the time ‒ could actually improve natural hearing via so-called cold-laser therapy. Naturally, I was therefore somewhat skeptical. 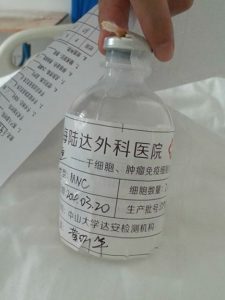 But I felt I had nothing to lose: after all, the local doctors had done nothing to try to help me except prescribe an initial course of corticosteroids. 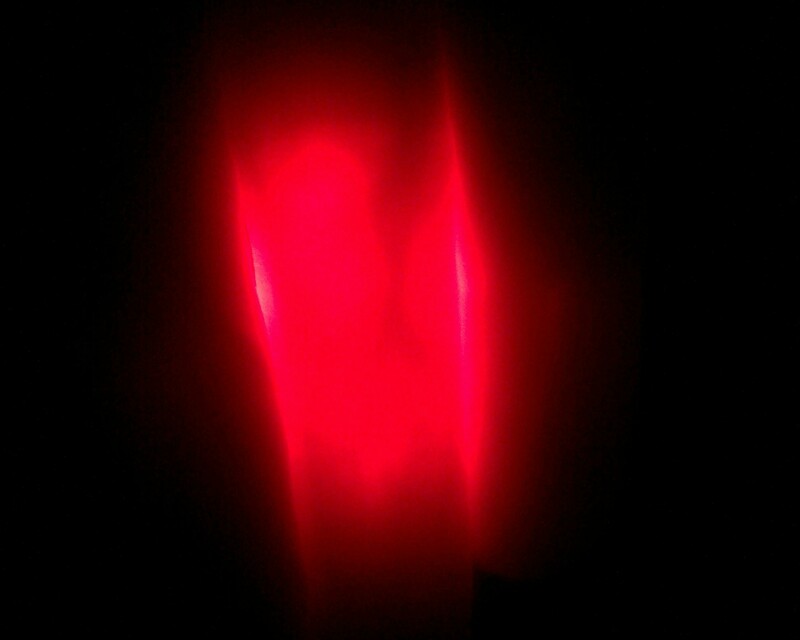 Evidence that laser light can penetrate both “bone and flesh” (photo of my finger). Based in Regensburg at the time, my first consultation to see Dr. Wilden was a nearly 300-kilometre drive from Leipzig. It took place on June 10th 2013 and started off with an audiometric assessment that included the very high frequencies (something regular ENTs do not typically offer). Based on the relatively good state of my hearing, Dr. Wilden recommended just five cold-laser therapy sessions (in place of the standard course of 10 one-hour sessions). And so began a week’s worth of therapy that culminated with a second hearing assessment at the request of the clinic staff themselves. Already on day 5 ‒ that is, after just four sessions of LLLT ‒ could an improvement in terms of hearing thresholds be detected. I was surprised. But also really pleased. In fact, I was so pleased with the result that I decided to opt for another five sessions and also bought a home laser. Combined, I ended up doing a total of 10 sessions of clinic grade therapy and some four weeks’ worth of home laser therapy before my hearing was assessed again on August 5th that same year. 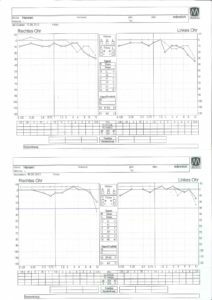 The tests showed I had improved my hearing thresholds as much as 25 dB at 8 kHz (see the before/after audiograms on this page). But perhaps more importantly, I didn’t even need an audiogram to tell me that: I could feel it in everyday situations as well (even though I was never hard-of-hearing). Unfortunately, the auditory improvement I experienced had virtually no impact on the severity of my tinnitus which I rated at about 8 out 10 at the time (with 0 = no tinnitus, 10 = severe tinnitus). So with all of the above observations, how exactly is LLLT supposed to improve hearing threshold? Well, first of all, LLLT is therapy based on light from a laser device. Unlike the light coming from a source such as a light bulb, laser light has three overall properties that combined enable deeper tissue penetration (incl. bone structures). These properties include laser light being: monochromatic, collimated, and coherent. Photons from laser light at specific wavelengths (e.g. red light) are thought to facilitate three important processes inside our cells: an increase in the production of ATP, nitric oxide (NO), and reactive oxygen species (ROS-). Put together, these processes encourage cell recovery and increase growth factors in the nearby tissues. The effects of LLLT has also been documented in scientific settings (one publication is shared at the bottom of this page). Despite the noticeable hearing loss improvements I had gained from the cold laser therapy sessions, I was still pretty much left with the same degree of tinnitus severity. So after a two-month period of visits to Dr. Wilden’s practice in Regensburg, I decided to start looking for other ways to get back on my feet. Because of a leave of absence from work, I had found myself with plenty of spare time during the Summer of 2013. At some point during that period, I happened to come across the story of Chloe Sohl who had gone through an experimental stem cell procedure because of autoimmune hearing loss. She had been battling the condition for some time as she failed to respond adequately to conventional therapy. With all options exhausted she, along with her parents (who are physicians themselves), decided to attempt an experimental procedure whereby her own stem cells were harvested from her belly fat and subsequently reintroduced intravenously. In total, Chloe received three injections and saw dramatic improvements in the weeks that followed the transplantation. The outcome had my interest for two reasons: firstly because of the reversal of hearing loss itself, and secondly, because of the specific type of hearing loss Chloe was suffering from. Mesenchymal stem cells (MSCs) are immunomodulatory and are hence known to potentially work really well in the instances where there is an autoimmune component associated with a medical condition. Back in 2011, I had for unknown reasons developed relapsing autoimmune uveitis that required continuous on-and-off steroid use. By going through a stem cell procedure, I was therefore hoping I could kill two birds with one stone by getting rid of both my tinnitus as well as the unexplained uveitis. Another piece of information that helped influence my decision making was the ‒ back then ‒ relatively recent announcement of a clinical study to be undertaken by the Florida Hospital for Children. The study involved IV transplantation of cord blood stem cells for the treatment of congenital and acquired hearing loss in children. The fact that a US-based entity under the regulation of the FDA was willing to even attempt to determine if such a procedure might be efficacious told me that there at least might be some chance that stem cells could serve a useful purpose for the treatment of auditory disorders. And so began the planning of what was to become my first stem cell treatment. This is me getting IV-laser therapy subsequent to receiving IV-transplanted stem cells earlier that same day. Having settled on a decision to go through with stem cell therapy, now began the process of finding potential clinics and corresponding with physicians at those locations. Eventually, I decided to go to Bangkok where a clinic offered me to replicate ‒ in part ‒ the procedure that was scheduled to take place at the Florida Hospital for Children. In other words: I opted for donated stem cells derived from the umbilical cord (and cord blood) as opposed to the protocol Chloe Sohl had followed (which involved just her own stem cells derived from belly fat). In addition to stem cells, I also received injections with growth factors, as well as supporting therapies such as cold laser therapy (both IV laser therapy as well as topical laser therapy in the proximity of the inner ear). In late August 2013, I was back in Europe again and in the month that ensued, I began to experience the first wave of improvements with regards to my recent onset of worsening tinnitus. Stem cells don’t act immediately. They need time to proliferate and engraft with diseased tissue as well as exert their anti-inflammatory properties. This is a process that can take up to three months. But, usually, improvements start to appear already within the first 4-6 weeks after a stem cell transplantation. In my case, I experienced about 30% reduction with regards to the intrusion level of my tinnitus. During the recovery period when the amelioration took place, I would experience increased episodes of so-called “fleeting tinnitus” ‒ that is, an increase in tinnitus perception that manifests itself for a brief few seconds or sometimes as a completely new tone (something which almost all people experience). Later on, this particular finding was to become an important common denominator. While stem cells do take a while to bring about the desired outcome, it was also clear to me as the end of 2013 was approaching, that, the 30%-improvement seemed to be the final result. I therefore got back in touch with the original clinic that treated me as well as a few other clinics that I had previously corresponded with. Having learnt a lot more about stem cells since the Summer of 2013, I eventually decided on a 2nd stem cell treatment with a different provider in the hopes of gaining additional improvement. 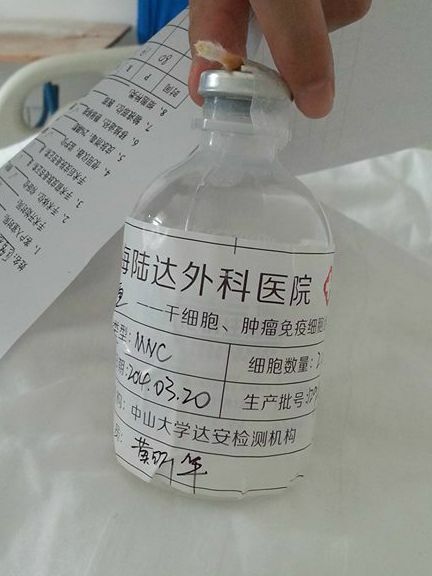 This time, the trip went to China for a three-week stay at a cost of about $32,000 ($26,000 for the treatment and some $6,000 for trip expenses). As with the first treatment I received in Bangkok, this hospital also used an IV-transplantation method (although lumbar puncture had been discussed as a possible option). I returned home to Germany in mid-January 2014. Combined, the two stem cells treatments left me with an improvement of about 50% (in terms of the loudness of my tinnitus). The outcome was good enough to allow me to return to a normal sleep cycle and exit the chronic pattern of insomnia that had plagued me until then. My EEG evaluation showed areas of increased activity in the δ-band of the power spectrum as indicated by the red markings (lateral orbito-frontal right-sided area, in particular). In March 2014, I was soon to “celebrate” my first year anniversary at TinnitusTalk. 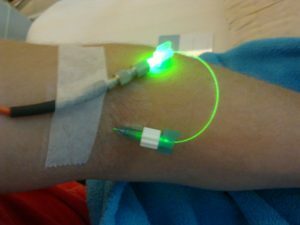 While browsing the various threads on the forum, I had for a while been paying attention to a specific topic on the board that concerned the so-called HIFU-procedure (which is uniquely offered by Prof. Jeanmonod in Switzerland). The HIFU treatment enables neurosurgery of the brain without having to drill into the skull of the patient. Through ultrasound combined with an extreme fixation of the patient’s head, highly specific targets in the brain can be ablated allowing certain specific neurological conditions to be treated (e.g. tremors, phantom pain, Parkinson’s disease). But the HIFU clinic also offers advanced diagnostics through high-resolution EEG scans where areas of hyperactivity are converted into a 3D image. However, because of the unique capabilities available only at the clinic of Prof. Jeanmonod, the waiting list is correspondingly long: expect six months (or more) for just the consultation. As a result, I had to decide whether I should accept the status quo of my improved tinnitus which I rated at a level of 4/10 at the time (with 0 = no tinnitus, 10 = severe tinnitus) or push ahead with a consultation – knowing that it would take a while before I could actually travel to Switzerland and meet the doctor. 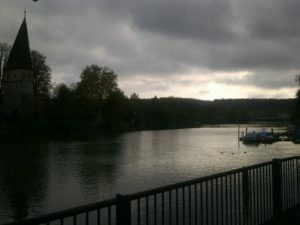 On the way back to my car, I stopped up along the river passing through Solothurn and reflected on my journey so far and which I felt had come to an abrupt end after travelling the equivalent of a trip around the planet. The photo was taken on November 6th, 2014. My consultation with Prof. Jeanmonod had left me slightly disappointed: by not being eligible for treatment, I had exhausted all options for gaining further improvements. In addition, not only was I not a candidate for surgery but due to the specific brain location of the increased activity in the lower part of my power spectrum as indicated via the EEG scan, the neurosurgeon had also informed me that any off-label drugs would likely not have any effect in terms of reducing symptoms of tinnitus further. This included the relatively new information regarding off-label usage that had surfaced in relation to potassium channel openers such as Retigabine and Flupirtine. Both drugs impact the specific ion channels (as defined by the range Kv7.2-5) through a mechanism of action that leads to an increase in the outflow of K+ ions which in turn stabilizes the cell membrane potential of neurons by leaving them slightly more negatively charged on the inside. In an off-label scenario, these specific types of medications are thought to be able to counter the hyperactivity-like state of neurons that is believed to contribute to the perception of tinnitus. Despite the low potential for seeing further improvements, I nonetheless decided to go ahead with a treatment cycle of Trobalt in the later part of 2015. This was after already having tried Flupirtine for two 2-week periods. But due to an increased risk of developing acute liver failure, treatment with Flupirtine is generally limited to two weeks. 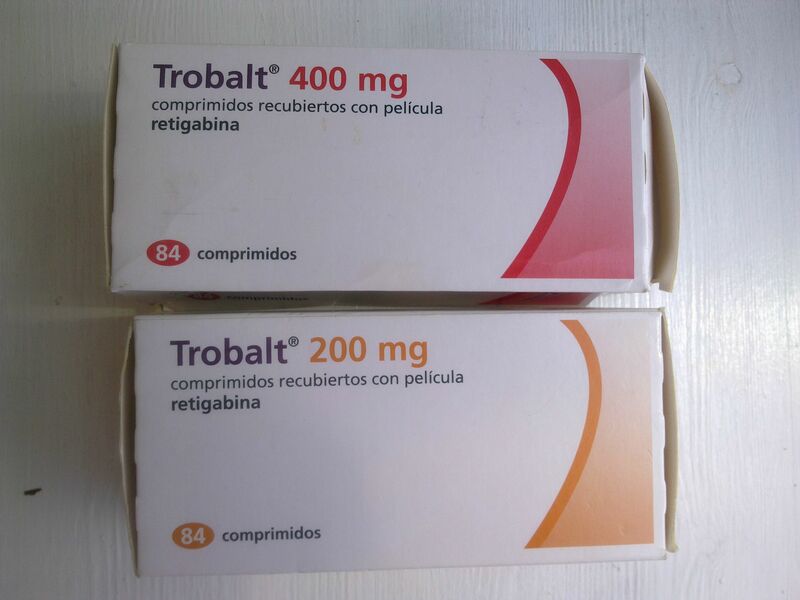 With Trobalt however, I stayed on the drug for roughly 10 weeks at the maximum dosage of 1200 mg per day. As the Swiss neurosurgeon had already predicted, I saw little direct improvement after intake of pills. And yet, from time-to-time, I would spontaneously have days when my tinnitus was noticeably lower. Eventually, I tapered off the drug and thought that was it: little to no overall improvement. But in the months that followed, I gradually began to experience further loudness reductions. At the beginning of 2017, I rated my tinnitus at about 1 out of 10 in terms of severity (with 0 = no tinnitus, 10 = severe tinnitus). Besides the overall improvement, I also did notice that Trobalt had an effect on the tinnitus located in my head (as opposed to the ears) ‒ similarly, Trobalt also seemed to be rather efficient at eradicating so-called “reactive tinnitus”. Today, therefore, I am essentially tinnitus free: tinnitus has absolutely no impact on my ability to sleep, concentrate, or engage in life as it did before my worsening in April 2013. 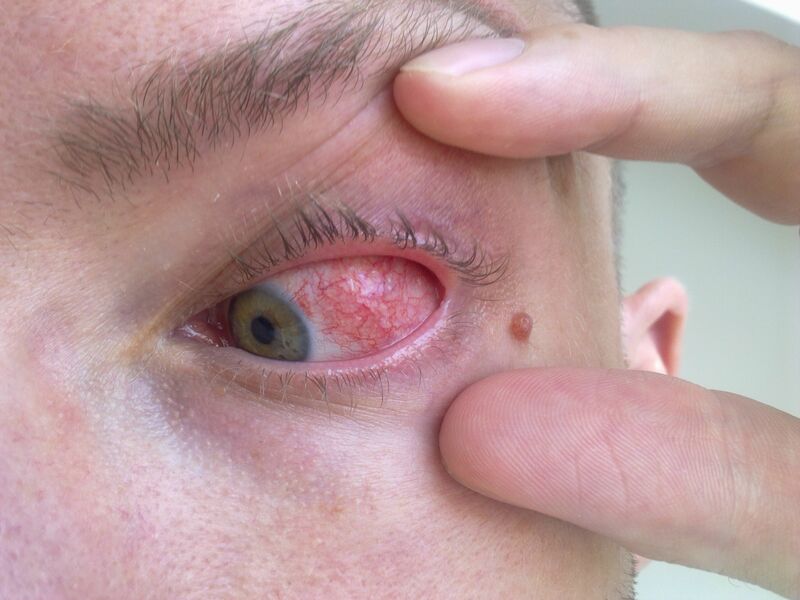 The first occurrence I had of what turned out to be autoimmune relapsing uveitis (due to a shingles outbreak in 2011). One of the unintended but beneficial side-effects of going through two systemic courses of stem cell therapy was that the relapsing uveitis I had developed disappeared along with several other conditions (such as my life-long eczema since childhood). When I noticed and felt certain the uveitis was gone for good, I began to further investigate the potential of stem cells to have contributed to that specific outcome but also to try to understand what had caused an autoimmune condition to develop in the first place. Back in June 2011, I had come down with a sudden outbreak of shingles (shingles is caused by the chickenpox virus). The outbreak was on the lower part of the torso ‒ a pretty typical place for it to occur. It resolved without any complications. Or so, it seemed… Because towards the end of the Summer of 2011, I suddenly had a severe outbreak of uveitis. I rushed to the nearby hospital as my vision in that eye had become distorted and I feared the worst. I ended up going to several doctors that same week. In each case, and whenever I had subsequent relapses and went to the ophthalmologist for treatment, would the physicians inform me that there could be no correlation between shingles and autoimmune uveitis. The standard answer was always: we don’t know why it happens! 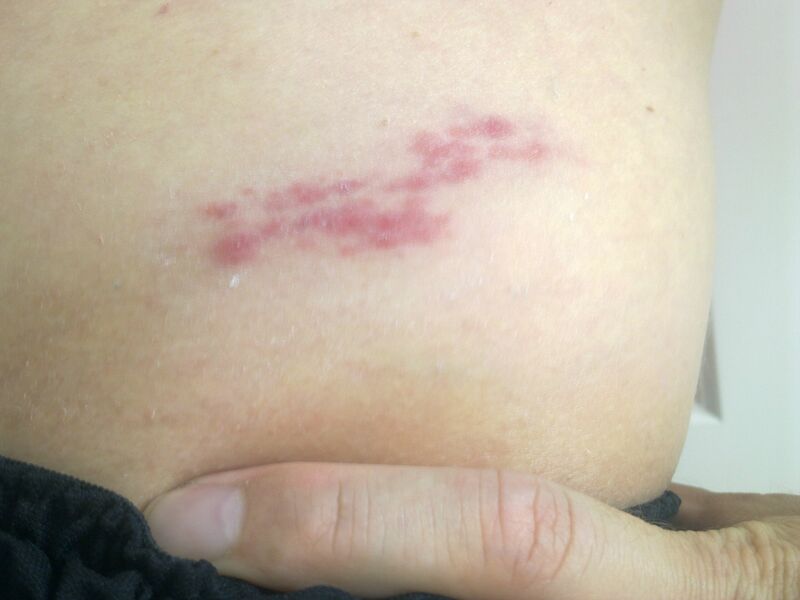 My outbreak of shingles just above the left hip. Well, that actually is not true. In 2012, it was proven that there is an increased risk of developing uveitis following an outbreak of shingles. In fact, the same study went on to encourage automatic screening of patients for uveitis for up to a year after an outbreak of shingles. From studies based on animal models, I similarly discovered how it was proven that, as a result of the immunomodulatory properties of mesenchymal stem cells, stem cell therapy has the ability to outperform traditional treatment modalities such as dexamethasone for treating uveitis of an autoimmune origin. By the end of 2014, it was clear to me that, although autoimmune uveitis is considered incurable by conventional medical standards, I had defied the understanding regular doctors have of the ailment and cured myself of something that ‒ still today ‒ is considered remediless and hence requires permanent therapy management using drugs that come with a range of side effects. The fact that there are better treatment options out there not being pursued is a separate theme which relates to the big profits that can be obtained from treating (life-long) symptoms rather than curing the disease itself (aka. the problems of “big pharma”). Low-level laser therapy. Cost per one-hour session (at the time): €200,- (incl. free consultation and audiometric assessments). A total of 10 sessions is the standard recommendation. Dr. Wilden no longer has his practice in Germany (website: www.lasertherapieregensburg.de). No significant waiting list is to be expected. Stem cell therapy. The treatment cost can vary depending on the source of stem cells, the quantity of stem cells, as well as the complexity of the medical condition(s) the patient is seeking care for. But typically the cost ranges from $15,000 to $25,000. Accommodation may (or may not) be included in the price quote. Asia ‒ in particular, the Bangkok stem cell community ‒ is arguably the world’s most advanced region in terms of regenerative medicine. No significant waiting list is to be expected. Trobalt. The medication sold by GlaxoSmithKline was taken off the market as of June 2017. 2nd generation Kv7.x channel openers that are more selective, more potent, and with fewer side-effects are being pursued by entities such as SciFluor LifeSciences, Knopp Biosciences, Xenon Pharma, and the University of Pittsburgh. Featured below are a few of the scientific publications that I used for my own research – or – which later on served as proof of my own findings. Literature such as this is typically geared towards researchers or clinicians. For the average reader, it can perhaps therefore be slightly challenging to digest. However, the abstracts are usually a straightforward read; I will also share my own input below each publication.